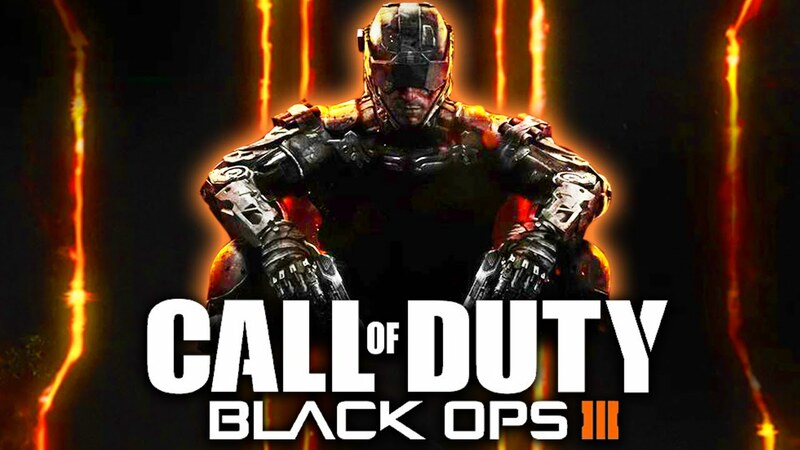 With Salvation and Call of Duty XP 2016 around the corner, I’ve finally had the chance to play the other DLC packs for Black Ops 3. After only having Eclipse for quite while, it’s a breath of fresh air into gameplay. In addition to that, it’s quite easier to get into active multiplayer lobbies. Due to how lobby playlists are setup for DLC users, if a player doesn’t have the multiplayer DLC, they wind up in their own playlist and wait for quite a while to get into a match. There have been times that I’ve waited over 10 minutes to get into a multiplayer match because of this limitation, and it’s really frustrating. Players are left with having to wait to get in, try a different gametype they may not want to play, or uninstalling the DLC to make it much easier to get into a game match. One feature from Modern Warfare 3 that I miss is the fact that there was an option to switch the DLC on or off for multiplayer, and it’s something I wish would become a standard feature for games with paid DLC. Hopefully, this will eventually change with future games. Starting off with Awakening, the maps Rise, Splash, Gauntlet, and Skyjacked are included with this pack. Rise is described in-game as Under construction Coalescence research campus hidden in the snowy Zürich mountains, and it’s huge. There’s a lot of opportunity for cover and mid to long-range combat encounters, while giving off a more of a classic run and gun feel to matches if warranted. Gauntlet contains three different environments, which is separated into a rainy urban area, an arctic tundra, and a jungle. From my experience, matches can get a bit wild, and it’s more focused on specialist abilities, which can get confusing and downright dangerous for people that don’t use, nor watch for those abilities. Skyjacked is a remake of the classic Black Ops 2 map, Hijacked, and takes place on a police airship overlooking Zürich. For BOII vets, this map is mostly the same run and gun and mid-range engagement fast action as before. Additions and small changes for wallrunning give it a fresh take on the map, and is quite welcome. Finishing up this pack is Spash, which is based in an abandoned waterpark. Matches are pretty quick in Splash, and with the chokepoint in the middle and tighter areas, this map can be very frustrating to play on, unfortunately. Next up is Eclipse, which includes Knockout, Spire, Rift, and Verge. Based off my first impressions a while back, I’m still finding Rift to be one of my favorite DLC maps to play on. For those not familiar with that map, it’s based in a futuristic military complex around a caldera which places emphasis on core movement and flanking. Matches are pretty dang intense and it’s easy to spawntrap other teams or spawnflip quite quickly. It can lead to some frustrating matches if one tries to camp on this map. Spire brings combat to a sub-orbital airport that’s more focused on moderately-quick mid-range combat. It’s really good for overall game modes in my experience, and quite enjoyable to play on. Knockout is described in-game as Privately owned island that hosts a tournament amongst traditional shaolin architecture, spiced up with 70’s disco flair. While designed for larger game modes, this is an absolutely beautiful map to play on all game modes. It can be a frustrating map to play on, but it can be fun if everyone on the team is coordinated enough. Ending this DLC pack is Verge, where World at War map Banzai is re-imagined as a post-apocalyptic battle ground, where two tribes fight for control of the last clean water source. I’ve noticed that matches can take a while to complete while on this map, but it’s pretty well-balanced for close to mid-range combat on all game modes. Finishing this up is Descent, which includes the maps Berserk, Cryogen, Empire, and Rumble. Starting it off is Berserk, a frozen in time Viking village, which provides a lot of close and mid-range combat opportunities, and is super-hectic while playing. Cryogen sets the pace out in a cryogenics facility that serves as housing for world’s most dangerous criminals. It’s more of a mid-range map with some flanking opportunities, but gameplay moves along pretty fast with matches. Raid from Black Ops II comes back re-imagined as Empire, described as an authentic Roman villa recreated by a modern-day eccentric billionaire. Aside from a few small alterations to accommodate for the core movement system, it’s virtually the same map as before, along with all the hectic gameplay associated with it. Matches on Empire can get really intense quite quickly and it’s really enjoyable to play on. Finishing up this DLC pack is Rumble, an arena designed for giant robots to duke it out. 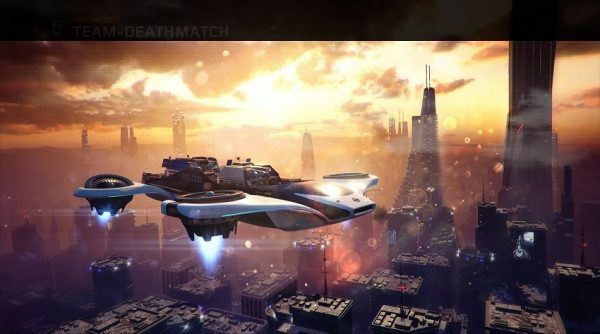 Aside from the open arena space, the map is decently small and tight, and feels like it was inspired somewhat from Encore from DLC 2 on Black Ops II. This is a great map for running and gunning, which is really nice for someone like me who prefers that kind of gameplay. 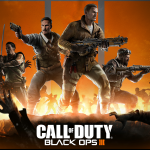 Continuing the story of Origins from Black Ops II and The Giant, Der Eisendrache (German for The Iron Dragon) has Dempesy, Takeo, and Nikolai fight alongside Richtofen to prevent the Dempsey Test Subject from being sent to Group 935’s Research Base on the Moon. Der Eisendrache has a number of gameplay features that were introduced in previous Zombies maps, including Origins, Mob of the Dead, and Moon. Among the biggest things that stand out is the return of the Panzersoldat from Origins, and the Gravity Lift-like Wunderspheres from Moon. Included in this map are Gravity Spikes-like buildable weapon Ragnarok DG-4, and Wrath of the Ancients. As with all Zombies maps, there is a lot to do to either find the Easter Egg and complete the story for that map, or find any number of secrets. Some of the secrets include several different music tracks that can be played upon activation, turning zombies into skeletons, or even finding the hidden melee weapon that’s on this map. Following Der Eisendrache is Zetsubou No Shima (Japanese: 絶望の島; English: Island of Despair). The Origins characters continue on their journey to stop the zombie apocolypse across all known universes and find themselves stranded on a remote Pacific Island. To change the timeline, the Origins characters must kill the original Takeo. New features to this map is the ability to swim and the need to do so to progress to certain areas of the map, very large creepy spiders with a Giant Spider as a mini boss, the KT-4 Wonder Weapon, and Skull of Nan Sapwe. There are only two music Easter Eggs in this map, and gameplay is a little bit more straightforward in trying to complete the main Easter Egg. While that is the case, it will take quite a while to get though until it’s complete, and the ending is quite sad. During various playthoughs, it gives off a feel of more open spaces out of the three maps. Finally finishing this up is Gorod Krovi (Russian: Город Крови; English: City of Blood), where the Origins crew are sent into an alternate war-torn Stalingrad littered with the remnants of a battle between mechanized soldiers and dragons to kill off the original Nikolai Belenski and preserve his soul in the Summoning Key. There are a number of additional new weapons, including fan-favorite PPS4-41, NX Shadowclaw, FFAR, the GKZ-45 Mk3 Wonder Weapon, and Gauntlet of Siegfried. This is amazing map to play, even if it feels like some of the spaces are tighter than what’s expected. With that said, it’s possible to navigate though zombie hordes, though it is a little bit tougher at times. Featured within all three Zombies maps are the work of Kevin Sherwood, which is absolutely amazing to listen to. Featured are Dead Again with Elena Siegman, Dead Flowers with Malukah, and Dead Ended with Clark S Nova. Whenever one of the Easter Egg songs are unlocked, it not only fits in really well with the map, but adds atmosphere to gameplay overall. It’s always a fun thing to try to unlock no matter what map one is playing. If you haven’t gotten all the DLC yet and enjoy the hell out of Zombies and play multiplayer, I would recommend purchasing either the Season Pass, or the other individual DLCs to complete what might be missing in the game. It not only gives the overarching Zombies storyline, but also makes it considerably easier to get into MP matches as mentioned earlier. One glaring issue that I do have in regards to DLC is that PC users have to purchase the Season Pass in order to get all of the DLC if they want it now. 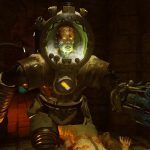 While there is a discount for people that own DLC 1 or 2, it is a bit frustrating to see that happening.